It’s hard to say goodbye to a friend, and that’s how I feel after attending Tuesday’s hearing by the Senate Finance Committee's health care subcommittee. This is the last subcommittee hearing that will be chaired by U.S. 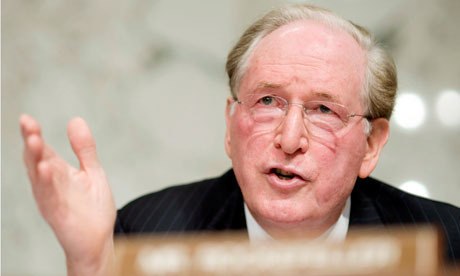 Senator Jay Rockefeller, someone who has been a very good friend to oral health. Sen. Rockefeller, who is retiring from the Senate after this year, could have chosen to take a low-key approach to his final committee hearing. Instead, he demonstrated his leadership once again by urging his colleagues today to extend federal funding for the Children’s Health Insurance Program or CHIP, as most of us call it. "Creating this program has been one of the most impactful things I have done in my career in public service," the Senator said today. Creating [CHIP] has been one of the most impactful things I have done in my career in public service. Roughly 8 million children receive dental and medical coverage through CHIP, along with nearly 400,000 pregnant women. Their families will suffer the consequences if the program’s funding is not renewed. This blog post offers more insight on the potential impact. In 2009, the Children’s Dental Health Project (CDHP) gave Sen. Rockefeller its “friend of oral health award.” Over the five years that have passed since then, the Senator’s rock-solid commitment to children’s health has endured. Even as he prepares to leave Washington, Sen. Rockefeller is determined that his colleagues don’t lose sight of CHIP and what a big difference it has made for families. Let’s lend our voices to help him.